The following interview was conducted by the editors shortly after the BBC U.S. Broadcast of Our Mutual Friend in January of 1998. Professor Michie, what would you say is the place of Our Mutual Friend in today's curriculum? It is, of course, hard to find a time and a place to teach Our Mutual Friend in a semester, especially given that students at all levels seem to be reading less and less, and to be less and less willing to read very long books. It might be worth thinking about what Dickens books do traditionally get taught at various levels -- Great Expectations and A Tale of Two Cities come to mind as typical high school choices -- and to see if other novels like Our Mutual Friend might add a new dimension, raise additional or different issues. Certainly in college many Victorian novel courses fall back on Hard Times because it is relatively short. Would it be worth teaching something more complex, something more "novelistic" like Our Mutual Friend, even if it takes a bigger chunk of the semester? How important is it to see Our Mutual Friend in its historical context? I think this depends entirely on the kind of course in which it is taught. Although I am very interested in history and in 19th-century culture, I would by no means suggest that a course in, say, the form of the novel, would not be an appropriate place to teach Our Mutual Friend -- and there, much of the discussion might focus on specifically literary history. Of course, it is important that the "literary" itself has a history. Having said this, Our Mutual Friend is a wonderful door into a variety of Victorian debates and issues. Even more than Bleak House, it is a profoundly geographical novel, deeply attentive to places and to the relations among them. Like Bleak House, it provides an astute geography of class whose lessons are strung out along the length of that defining London landmark and barrier, the Thames. I also look to Our Mutual Friend as a way to think about Victorian preoccupations about sexuality, male and female. Of Dickens's novels, it seems to me to be most open about and interested in eroticized relations between men, and in the portrayal of legitimate (in its own terms) female desire. Our Mutual Friend also attaches recurrent psychological formations to specifics of class: I am thinking particularly of violence and jealousy, which the novel explores explicitly in class terms. In what ways do you think Our Mutual Friend appeals to a contemporary audience? What works best for my students is Our Mutual Friend's odd and persuasive combination of defamiliarizing details (fishing for dead bodies as a way to make a living) and more obviously familiar thematics (father-daughter relations; the subjectivity of daughters). I believe in the power of giving these so-called "universals" an unfamiliar, and, indeed, in this case, grotesque, location and a name. Students can then learn to identify more complexly; many of my students cannot absorb Lizzie whole (as they do with Jane Eyre), but must come to terms with her through a minefield of historical and class differences. Would you consider Our Mutual Friend to be Dickens's great masterpiece, great failure, or neither? How has your thinking of the novel changed over time? I'm now, as I indicated, obsessed with the Thames and with the novel's sense of contested space. I'm less focused on the novel's heroines and more likely to begin reading with the odder characters in mind. 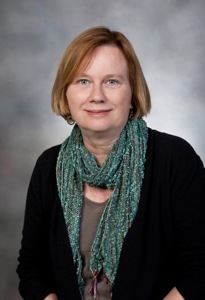 Dickens Project faculty member Helena Michie is Professor of English at Rice University. She is the author of The Flesh Made Word: Female Figures and Women's Bodies, Sororophobia: Difference Among Women in Literature and Culture, and numerous other works on Victorian literature and culture.